The Broadcast Leadership Training (BLT) program was created to enable talented senior level broadcast executives who aspire to advance as group executives or station owners – particularly women and people of color – to be exposed to the fundamentals of purchasing, owning, and running a successful operation of radio and television stations. BLT '12 - promoted to regional vice president of Radio One's Ohio markets. BLT '14 - accepted position as Director of Engineering with Hearst Television at WDSU in New Orleans. BLT '15 - accepted position as Corporate Counsel with Cumulus Media in their General Counsel's office. 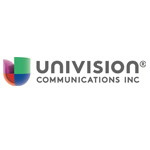 BLT '12 - promoted to senior vice president of local media overseeing operations for TV/Radio/Digital at Univision Communications, Los Angeles. BLT '10 - Tracy's company, Topline Matters, Inc., was awarded certification as a "Woman Owned Business Enterprise" through the National Business Womens Owners Corporation (NWBOC). BLT '14 - Beth, president/CEO of Neuhoff Communications, joined the board of the Broadcaster's Foundation and was recognized on Radio Ink's "The Most Influential Women in Radio" list. Todd Hartman, Kalil & Co., Inc.